This is the first release of the Upper Ngumby Vineyard Chardonnay and what an entry! Finesse, power and poise - yes please! Off 20 year old vines, it's barrel fermented with wild yeast - 21% seeing new French oak. Some MLF took place. 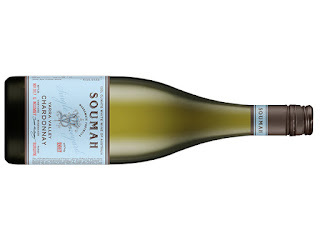 A delicious, mouth-watering Chardonnay - quite literally. White stonefruits bristle. It's creamy and toasty - cue the oak, but the fruit remains the hero. An unmistakable minerality chimes in adding interest. Fresh throughout, green melon late adds a dab sweetness to a long and persistent finish. The parting gift is a pleasurable textural ride to happiness which just sticks. A great wine which just feels super fine to touch. Boom!